Parents are always trying to figure out what they can do better. They put so much pressure on themselves and struggle to accept the fact that they don’t have all the answers. In addition to the different parenting styles of their friends and family, it can get confusing and nerve wrecking. Parenting is a not just a skill, it is a journey. There are ups and downs, proud and disappointing moments, obstacles to overcome and strength to be gathered. Though there is no one right way to do things, we figure that a few rules would help. These are 15 easy rules of parenting that we have compiled together to make your job a whole lot easier. Spend time with them– Your kids learn new things from their surroundings every day. Being there for your child, spending quality time with them and playing with them is more important than showering them with materialistic things. Set a good example for them– Teach your kids to be kind-hearted, responsible individuals by setting a good example for them. You can have a bigger effect by showing them how to behave rather than telling them in words. Picking up a book along with them, being kind to others, avoiding petty behaviours and so on are great examples to a child. Encourage them with positive words– Children are going to try and fail at various activities before they finally get it right. Instead of criticizing them, use words of encouragement to instil positivity, praise the results they have achieved so far and motivate them to do better. There is a significant difference between being encouraging and putting too much pressure on them. Teach independence early on– Self-sufficient children often blossom into strong, independent individuals. It could be something as simple as getting them to clean their room or helping you clear the dinner table. These activities build confidence and shape their personality. It is never too early to instill independence in a child. You can always find the tasks appropriate to their age online or in parenting books. Take charge– It is important that your child respects you. You have to be the figure of authority in this relationship. Setting reasonable limits and rules shows children what kind of behaviour is permissible and what is not. It is important for you to show them right from wrong and be assertive while doing so. Monitor their food intake– Your children often don’t know what food is good for them. Sugary foods, caffeine and an unhealthy diet can lead to an unhealthy child. You can use a caffeine calculator to regulate their intake based on their favourite drink. Again, your assertiveness plays a role in the dietary desires of your child. Keep your personal problems away– Be it stress from work, a fight with your partner or even the irritability from being tired, it is important to keep the problems away from the child. Take it to the next room, out of earshot and resolve your problems without involving your child in it. Accept their apologies– Everyone makes mistakes, even adults. Sometimes you can be so disappointed with the actions of your child that you are not ready to let the problem go. However, if your child has understood the mistake, has delivered a sincere apology and has a plan to make up for the mistake, accept it. This will show your child that they can come to you for anything and they will find a safe space in you. Get your child involved in making rules– It is important to let your children know why you are making a specific rule and get them involved in the process. They are more likely to obey the rule they are involved in creating. It also teaches them the responsibility that they can carry forward as they grow. Ask about their day– It doesn’t matter if they are 3 or if they are 20. Take the time to ask about their day. It allows your child to confide in you all the stressful things in their life, tell you what they have learned each day, their likes and dislikes, successes and failures. It is also essential that you don’t pressure them to talk, rather just allow them to open up to you. Monitor their sleep, mattress and hygiene – Many children suffer from sleeping disorders that can have serious consequences in the long term. The effects of sleep deprivation can impair both their mental and physical development. It is imperative for you to monitor their sleeping habits, encourage good sleep hygiene and take precautionary care early on. Don’t try to fix everything – It is crucial that you teach your kids accountability and responsibility from a very young age. Cleaning up after their mistakes all the time can teach them lessons you never intended for them to learn. Provide a comfortable home for your child – It is important that your child feels comfortable in their home. 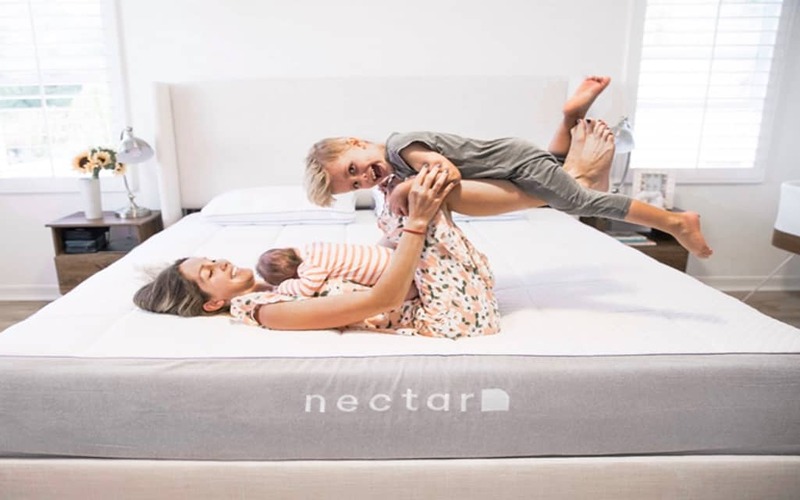 Be it posters of their favourite show, bedroom rug ideas, a special study table, a foam mattress or even something more extravagant like the Dreamcloud luxury mattress or a zero gravity bed frame, your child should feel loved, comfortable, healthy and secure at home. Honesty is the best policy– This applies even to you as parents. Own up to your mistakes, always tell the truth and stop with the elaborate tales to avoid an uncomfortable conversation. Children are smarter than you think! If they don’t hear it from you, they will hear another version from their peers. Encourage activity –If you want your child to be healthy and fit, you have to encourage an active lifestyle. It is better if you join your kids too. Go for a short run every morning with your child or play in the park. The list of options is ever-long with a child. Parenting is a well-traveled road. There are billions of parents all across the world. However, your story is always going to be unique. Things might get hard, there might be obstacles you never thought you had to cross, but parenting, in all its essence, brings you more joy and strength and makes you a better person than you ever thought you could be.